Comtrend announces the expansion of their consumer wireless router family with the affordable and robust WR-5887 AC1200 Wireless Router. 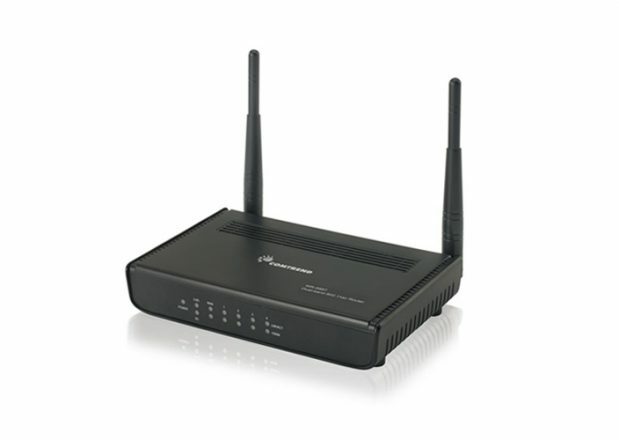 Comtrend announced today the launch of the WR-5887 AC1200 Wireless Router. Designed for low cost and high performance, the WR-5887 boasts dual-band 802.11ac wireless. The WR-5887 is equipped with five Gigabit Ethernet ports and has a wireless PHY rate of up to 1200Mbps (2.4GHz 300Mbps + 5GHz 867Mbps). Consumers can easily upgrade from older, 802.11n wireless networks, and experience a marked increase in throughput with 802.11ac products operating at 5GHz. In comparison, wireless 802.11ac offers three times the speed of 802.11n and is backward compatible with 802.11a/b/g/n devices, allowing consumers to keep and continue using legacy devices. Sr. Director of Business Development at Comtrend, Bradley Joe, states “We are bringing an affordable AC1200 solution to the market to incentivize segments that are hesitant to upgrade their wireless networks based on cost or complicated installation. We take that out of the decision process by making this product a simple and affordable upgrade for consumers wanting faster speeds and better performance.” The WR-5887 features an easy three-step installation and Comtrend’s superior and personalized technical support to make the setup process seamless. Most modern smart phones support 802.11ac, making the dual-band WR-5887 an instantly successful solution. All legacy wireless equipment has access to more bandwidth when a modern (802.11ac) wireless device connects to the separate 5GHz network.